Unlimited Ad Free Radio Service- This service is a lot like Pandora or Spotify Premium services with one major difference. 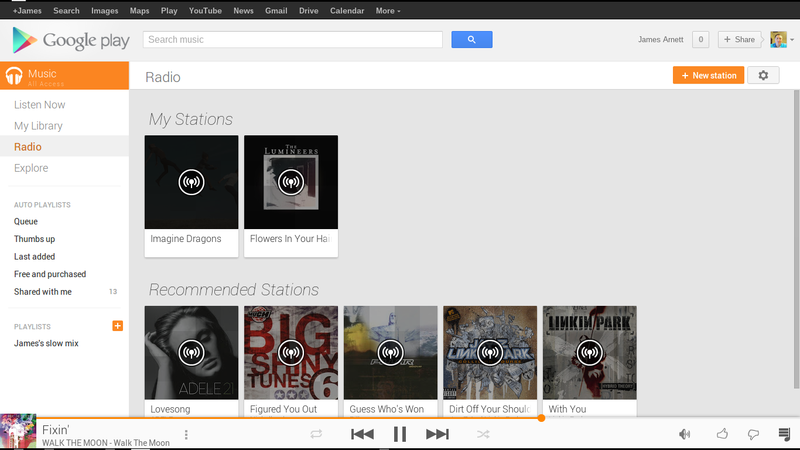 With Google Music All Access you can right click on a playing or queued track and add it to you personal library to listen to without streaming it. In other words it will download a local copy to your device so that you can listen to it anywhere, anytime. You can do this to as many songs as you like. Auto Playlists- There are multiple options for Auto Playlists including one that I use quite often now called “Thumbs Up”. 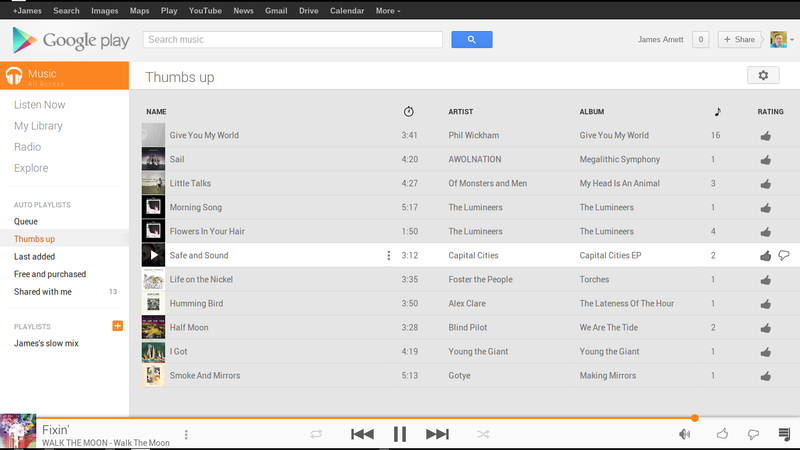 What this does is automatically add songs that you thumb up on the radio to a playlist that you can listen to later. Radio Song Queuing- Unlike other streaming radio services All Access queue’s up songs before it actually play’s them. This give’s you the opportunity to remove songs that you don’t want to hear before they are played. I am not sure how many previous tracks are kept in queue however on my Chromebook it goes back quite a ways. It seems to always have 19- 20 songs forward in queue. As I mentioned before you can skip backwards or forwards to whatever song you like from the queue simply by double-clicking it. 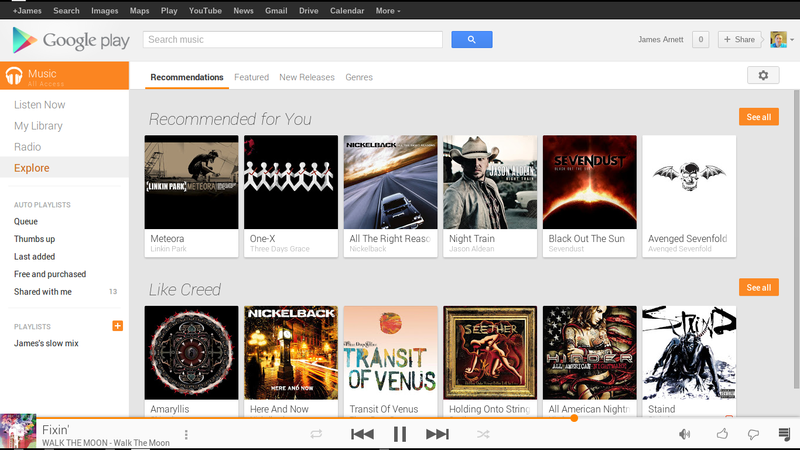 Have you tried Google Music All Access? What do you think? Let us know in the comments section down below. This entry was posted in ARM Chromebook, Chromebook, Google Services and tagged All Access, android, chrome, chromebook, google, google i/o, Google Music All Access, Google Play, pandora, Pandora Media, San Francisco, spotify by James Arnett. Bookmark the permalink. Can I run All Access on a Chromebook Pixel? You sure can! 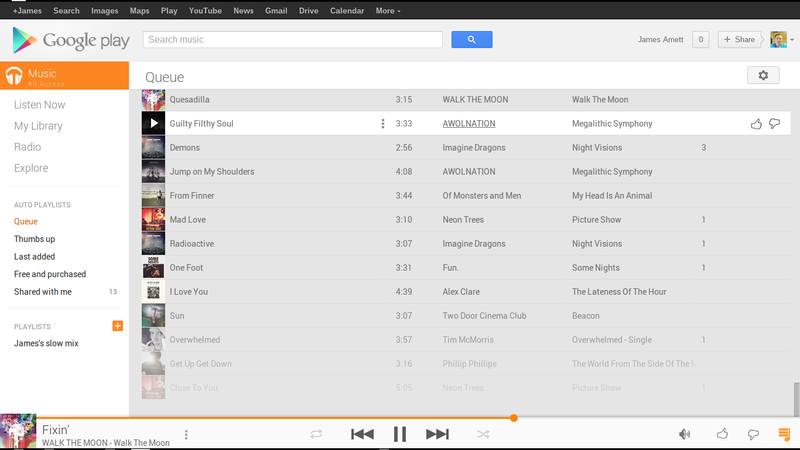 Google Music All Access is simply a premium paid version of the already available Google Music Service. It can be downloaded from the Chrome Webstore. Thanks for the response. On my Chromebook Pixel when I search the Chrome Web store for ‘Google Music’ all I see is “Google Play Music.” When I launch that app there is no “All Access” option. Do I need to sign up on mobile or a PC first? I figured it out. When I join on my PC, the screen updates on my Chromebook.